PONTE VEDRA BEACH – The St. Johns County Chamber of Commerce hosted the second event in its Politics in St. Johns series at the Ponte Vedra Concert Hall, Monday, July 16. Nearly 250 votes were cast in the straw poll hosted by the St. Johns County Supervisor of Elections Office as hundreds of guests discussed their questions with the nearly two dozen candidates in attendance. While the poll was informal, there were some interesting results including a four vote victory for Governor Rick Scott in his race against incumbent U.S. Senator Bill Nelson and a tight outcome in the race for governor as GOP candidates U.S. Representative Ron DeSantis and Agricultural Commissioner Adam Putnam and Democratic candidate Tallahassee Mayor Andrew Gillum all received nearly 20% or more of the total vote with DeSantis earning a 6-point victory over Democratic candidate Gillum. This is the third election year the Chamber has hosted a candidate meet and greet event in Ponte Vedra and this year, because of the swelling crowds, chose to host the event at the Ponte Vedra Concert Hall for the first time. “I am very pleased to see how this event has grown over the years, it means that people are becoming more engaged. We are proud to be able to provide a platform that will help St. Johns County residents make an informed voting decision,” Isabelle Renault, Chamber president / CEO, said. With a second straw poll event scheduled in St. Augustine candidates could gather some information as to their standing in the mind of St. Johns County voters. Three hundred or more votes were cast during each of the Politics in St. Johns straw poll events since 2012 with the most recorded votes in 2016, nearly 400. “It’s certainly not a model to predict results. However, the numbers of people at these events is large and, for the first time this year, we have held the poll in Ponte Vedra as well, so it could a useful tool for candidates to gauge the public’s sentiment with only weeks to go before the Primaries,” St. Johns County Chamber Director of Public Policy Bob Porter said. The Ponte Vedra politics event is the second in the Chamber’s series of political events but the first candidate meet and greet. The first event, the Legislative breakfast, was held in March and featured Congressman John Rutherford, State Representatives Paul Renner and Cyndi Stevenson and County Commission Chair Henry Dean shortly after the state of Florida’s legislative session concluded. 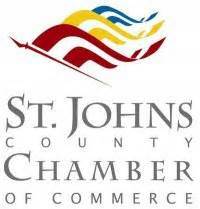 The St. Johns County Chamber of Commerce will host its third and final Politics in St. Johns event on August 1 at the Solomon Calhoun Center in St. Augustine, Fla. from 5 – 7 pm. Attendance is free and there will be another straw poll hosted by the Supervisor of Elections Office. You can register to ensure you are able to vote in the straw poll here on the Chamber’s website at www.sjcchamber.com. To find out more about the Chamber visit its website or call 904.829.5681.